Getting a wedding ring can be a significant choice. It is easy to spend a lot of money on a ring – and if you are only doing it once, you want it to be right. How then do you choose a wedding ring that suits you? There are a few things to consider when you are trying to make sure that you get the best ring for you. Wedding Rings can be very expensive. The right one for you is, above almost everything else, one that you can afford. It can be disheartening to find a pair of rings that you love, but cannot afford. If you set a budget and stick to it, you limit your decision to realistic options. If you set your ring budget as a proportion of your overall budget, you can determine how much you consider acceptable. Your wedding ring needs to last. This is not simply a case of the ring’s physical qualities, but also of its longevity. If you are going to wear your ring all the time, then you need to consider if it affects your lifestyle. If you are particularly active, or work with your hands, then you need a ring that is comfortable to wear. It also needs to be resistant to damage. As your wedding ring is likely to last a lifetime, you need it to be one you will want to wear – this means trying to predict how much you will like it years down the line. You and your partner are unlikely to agree in everything. Agreeing on this can make finding a ring a lot easier. You don’t have to have matching rings – either in terms of colour or style. You could try, if you both like different styles, to find two different but complementary wedding rings. If you know that you are going to get engaged, and don’t need the engagement ring to be a surprise, try getting your wedding and engagement rings at the same time for a potential discount. Wedding Insurance keeps you safe against those things you can’t plan for. 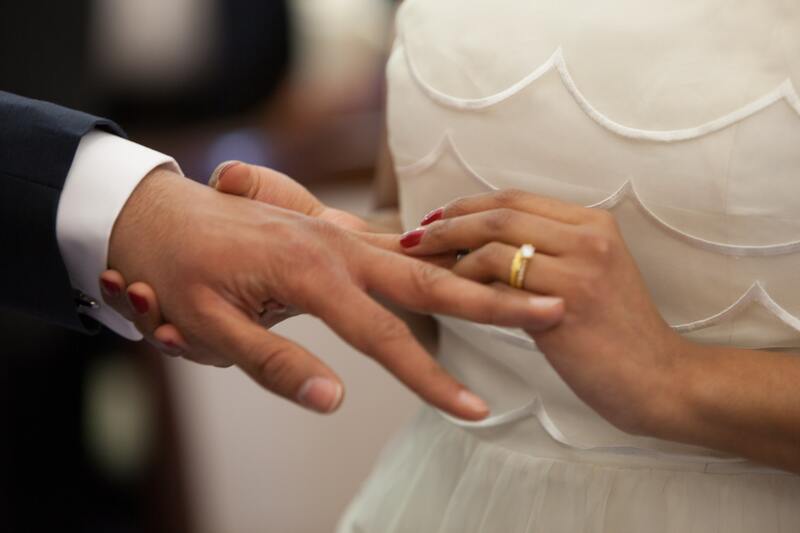 At Wedding Insurance Solutions, we can cover your wedding rings up to the value of £10,000. Get covered today from as little as £25.